Food Safety Manager Certification verifies that a manager or person-in-charge (ex. owner, supervisor, manager) has sufficient food safety knowledge to protect the public from foodborne illness. 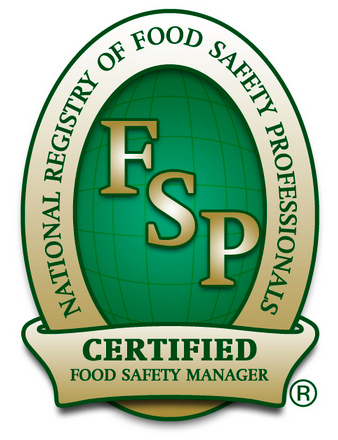 Individuals that successfully pass the 90-question, multiple-choice exam will receive a Food Manager Certification in electronic and downloadable form (PDF). Food Handler Certificate verifies basic food safety knowledge and is for individuals in food handler employee-level positions. Upon successful completion of the accredited Food Handler course and 40-question exam, the student will receive a Certificate of Achievement that can be printed. Programs and exams are accredited by the American National Standards Institute (ANSI) and Conference for Food Protection (CFP). Programs and exams include StateFoodSafety, NRFSP, TAPseries, or ServSafe. The U.S. Food and Drug Administration (FDA) Food Code 2017 is used as a reference for critical food safety content to be tested. The exam requires a proctor to be present and attendance at any of the scheduled classes for the exam portion is necessary. Time allowed is two hours. Find the Food Safety Management, Food Handling, Allergen, and Alcohol Service regulatory requirements specific to your operating jurisdiction. 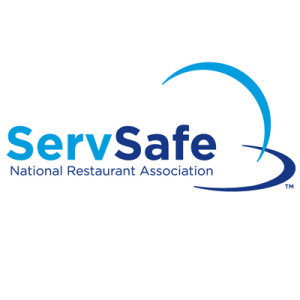 StateFoodSafety, NRFSP, TAPseries, or ServSafe training and testing programs are widely recognized and accepted for requirement fulfillment.